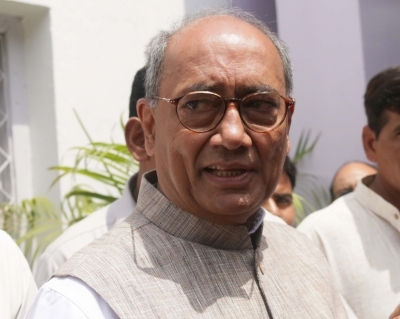 A day after Madhya Pradesh Chief Minister Shivraj Singh Chouhan targeted Digvijaya Singh for his retweet against Prime Minister Narendra Modi, the Congress on Sunday hit back and asked why he is not ashamed of the Vyapam scam and the continuing farmers’ suicides. “Is he also ashamed of the country’s biggest scam, that is, Vyapam? Is he ashamed of his forces shooting down six farmers in Mandsaur, and the continuing suicides by farmers due to his wrong policies?” Leader of Opposition in Madhya Pradesh Assembly Ajay Singh said. On Saturday, Chouhan said that he was ashamed that Digvijaya Singh was once a Chief Minister of Madhya Pradesh and belonged to his state, after the latter retweetd a meme of Modi that contained highly derogatory language in Hindi. Ajay Singh said that Madhya Pradesh has been shamed in the entire country because of the Vyapam scam and the people who had got their education here are being seen with suspicion and over 50 people have died in the case. “The Chief Minister claims to be the son of a farmer. Is it not shameful that his police killed six farmers in Pipliya Mandi in Mandsaur? Farmers have been dying by committing suicide and out of shock due to his wrong policies,” the Congress leader said. He said it was surprising that Chouhan could be ashamed of a retweet by Digvijaya Singh but not ashamed of all this happening under his nose.